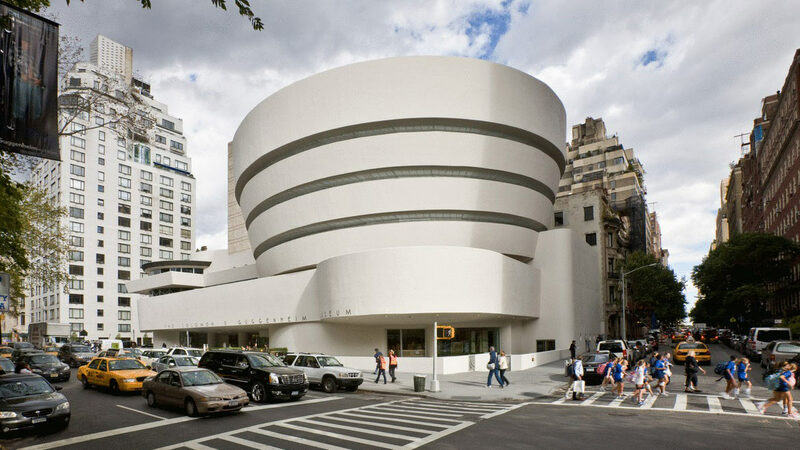 Guggenheim Museum, New York City. 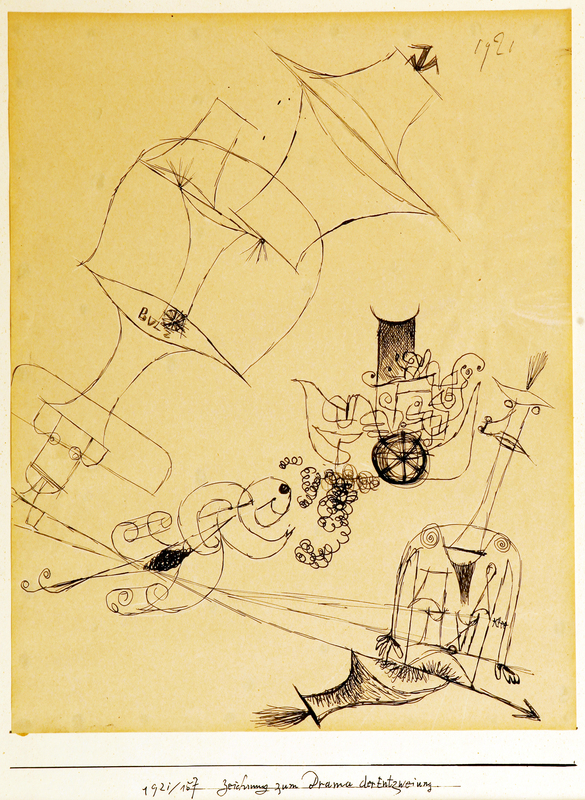 All Images Courtesy of the Guggenheim Museum. Before a recent visit to NYC, I was set on visiting the new Met Breuer Museum (housed in the former Whitney Museum building) that is hosting a large photographic exhibition by Diane Arbus. 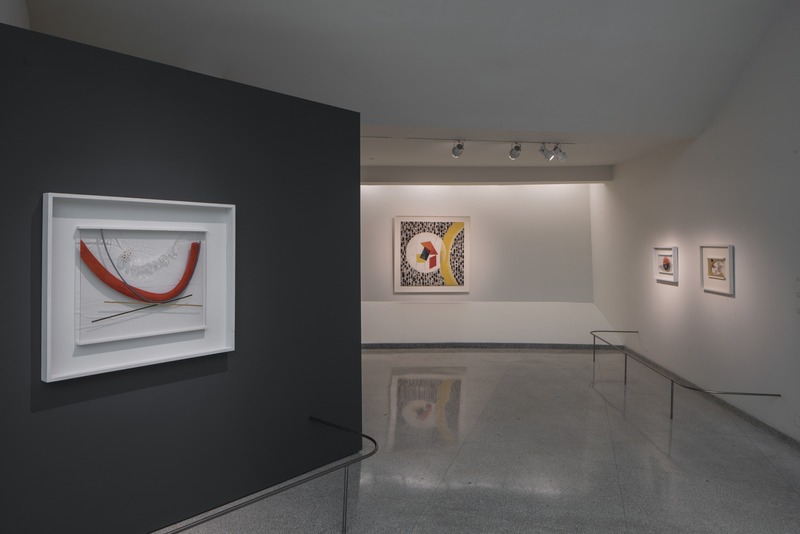 But my interest in European Modernism pulled me away to the Guggenheim, which has mounted a major retrospective of work by the Hungarian artist, László Moholy-Nagy (1895-1946) who is unknown to me. 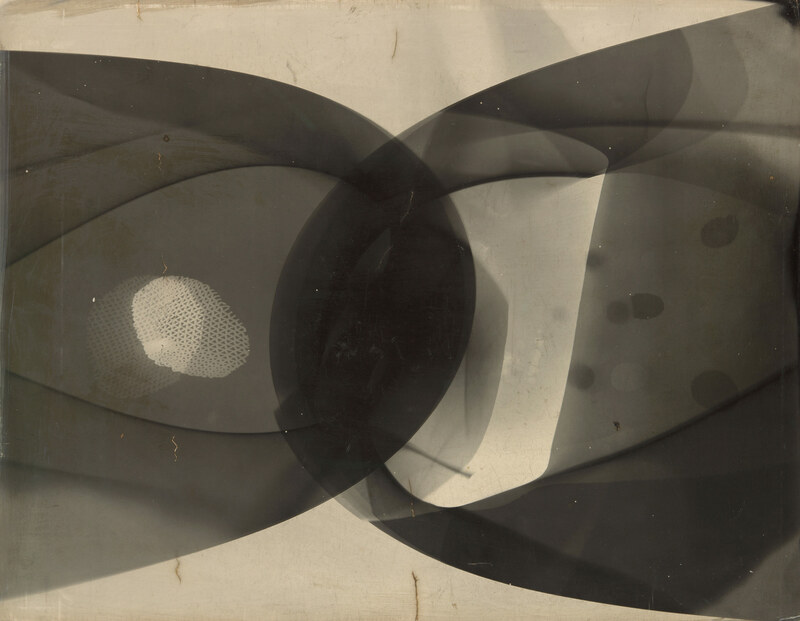 The compilation of work is the first comprehensive retrospective of Moholy-Nagy, likely the first artist with a large and diverse field of media, including painting, sculptures, works on paper and Plexiglas, photograms and films. Despite his visibility as a Bauhaus teacher and artist, his profile has been little known to American art schools. This exhibition conveys the experimental nature of his work that includes industrial materials, movement, light, and a variety of photo-based images. The Bauhaus School (1919-1933), meaning in German to construct, struggled to exist at three locations in Germany during the early part of the 20th century. Founded by Walter Gropius in 1919, in Weimar, it moved to Dessau in 1925 where it housed an artist faculty that included Wassily Kandinsky, Marcel Breuer, and László Moholy-Nagy, and then finally ended up in Berlin for one final year until the Nazi Party came to power. The school specialized in fine and applied arts influenced by the Constructivism movement that originated in Russia in 1913 under Vladimir Tatlin, where art was practiced for social purpose, and included architecture and typography. Constructivists proposed to replace art’s traditional concern with composition, rather a focus on construction. For many Constructivists, this entailed an ethic of “truth to materials,” the belief that materials should be employed only in accordance with their capacities. 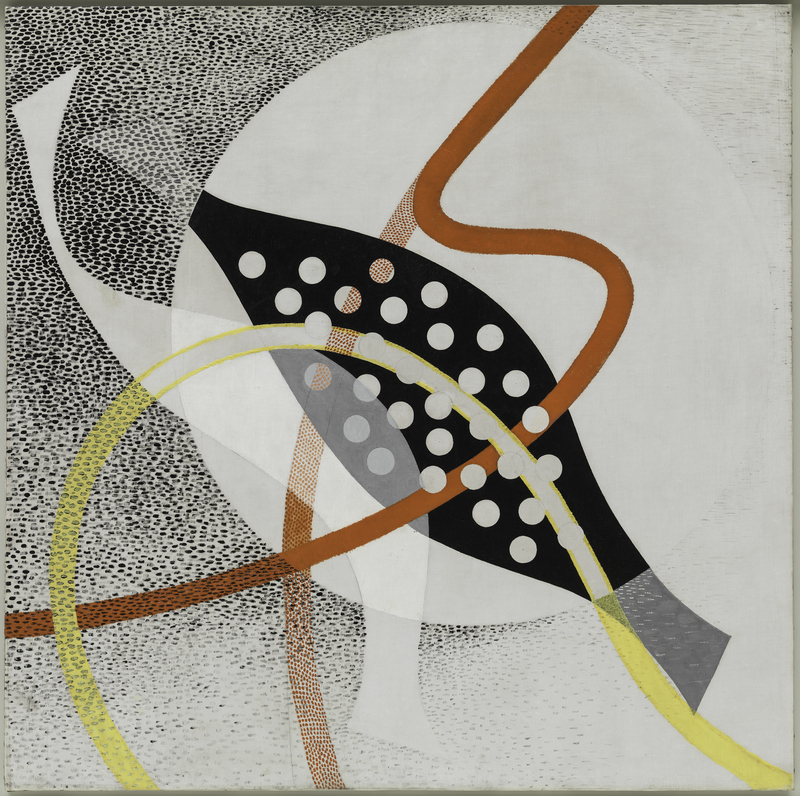 Juxtaposed against German Expressionism, Moholy-Nagy creates an image that reminds this writer of Kandinsky in his large oil on canvas, CH Beta 1. A non-objective abstract composition, the work relies heavily on design and the use of space, line and color on a flat plane void of objective meaning. If Kandinsky is the father of abstract art, then Moly-Nagy is an apostle presenting a new venue of work for the modern world. Born in Hungary in 1895, he attended art school in Budapest before bringing his Constructivist aesthetic to the Bauhaus school in Dessau. The mechanical free-floating geometries influenced many artists in the United States to follow, including Frank Stella, David Smith, Ad Reinhardt, Sol LeWitt and Sean Scully. 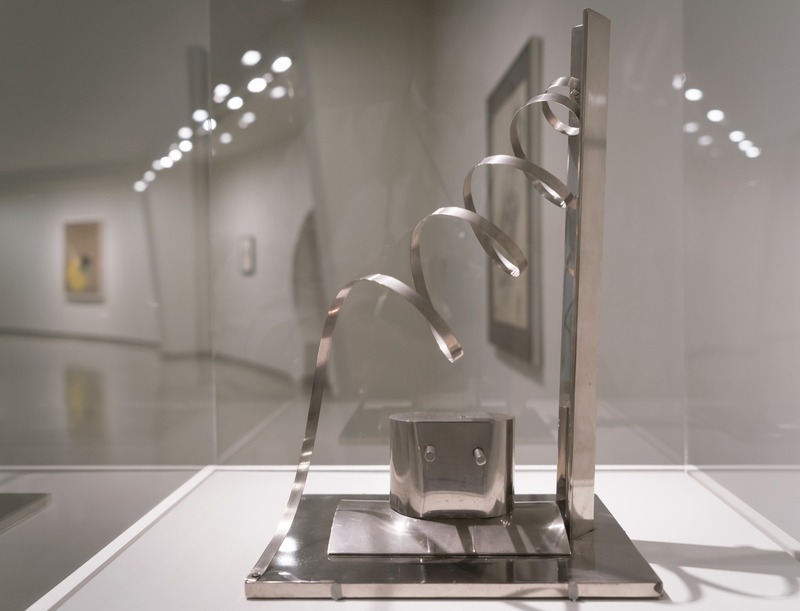 Moholy-Nagy’s nickel plated on iron-welded sculpture, owned by the Museum of Modern Art, demonstrates his industrial design and constructivist approach to the machining of objects and a spiral that inadvertently echoes the Guggenheim’s internal architecture. 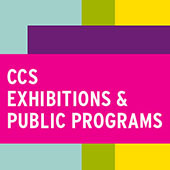 Collected by Hilla Rebay and Solomon Guggenheim, founders of the museum, this exhibition is beautifully arranged by Kelly Cullinan, the senior exhibition designer. I especially appreciated the extensive writings of Moholy-Nagy displayed on each level of the museum in vitrines. If I were still teaching painting at the college level, I would spend more time discussing European Modernism, especially the influence of the Bauhaus School and its teachers and artists. Moholy-Nagy: Future Present is co-organized by Carol S. Eliel, Curator of Modern Art, Los Angeles County Museum of Art; Karole P. B. Vail, Curator, Solomon R. Guggenheim Museum; and Matthew S. Witkovsky, Richard and Ellen Sandor Chair and Curator, Department of Photography, Art Institute of Chicago. 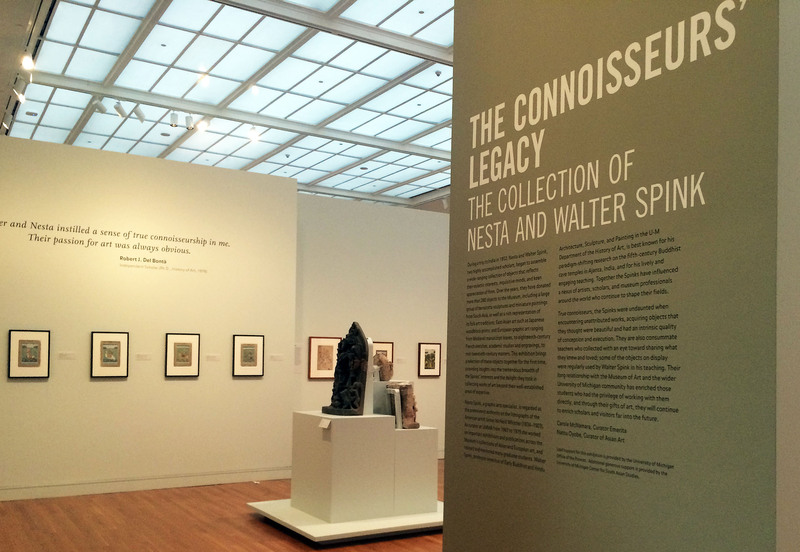 The Guggenheim presentation is organized by Vail, with the assistance of Ylinka Barotto, Curatorial Assistant, and Danielle Toubrinet, Exhibition Assistant. Gallery Project, one of the most ambitious annual art exhibitions in the region, returned with a roar this month, opening its fourth installment on Monday, August 1st with Re:Formation – which will remain on display in the former department store at 600 Jefferson Ave in downtown Toledo, Oh through Wednesday, August 31, before moving to its second location at the Ann Arbor Art Center (117 W. Liberty) on Friday, September 9, and remain on display there through Sunday, October 16. 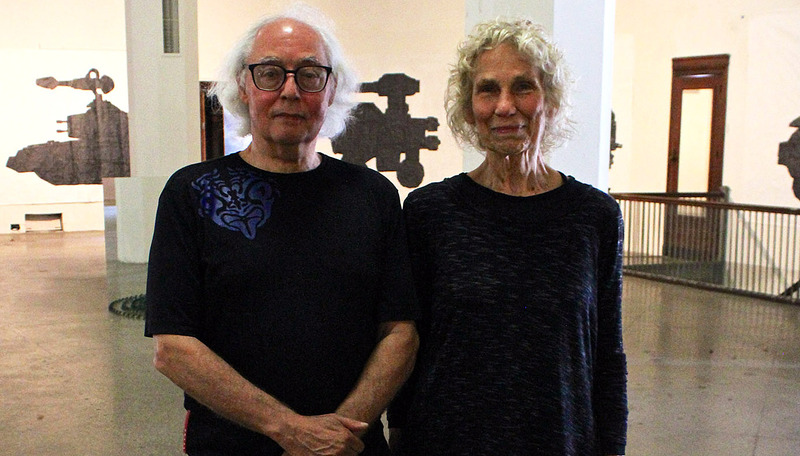 As in previous years, the exhibition draws some 50+ local, regional, and national artists together around a theme, however, the tone of this year’s theme – Re:Formation – strikes a markedly different note than last year’s theme, Wish List. Co-curators Rocco DePietro and Gloria Pritschet were compelled to pursue a more pointedly political theme this year, and the resulting submissions demonstrate the success of that aim. The output varies – as one might imagine, given the vast cross-section of artists included in the show – but a few thematic elements emerged strongly. The Flint water crisis was central to the show, both literally and figuratively. 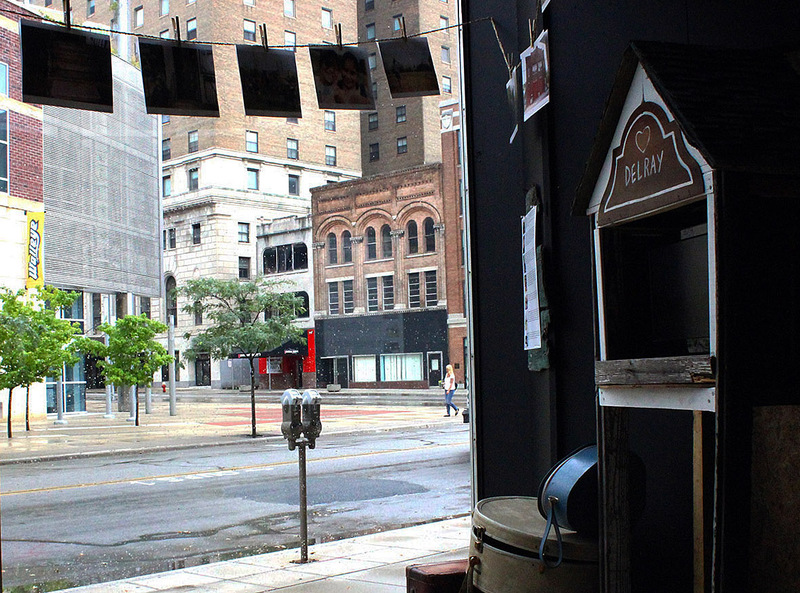 One of the front window displays recreates a collaborative installation originally done in Flint by Desiree Duell (Flint, MI). 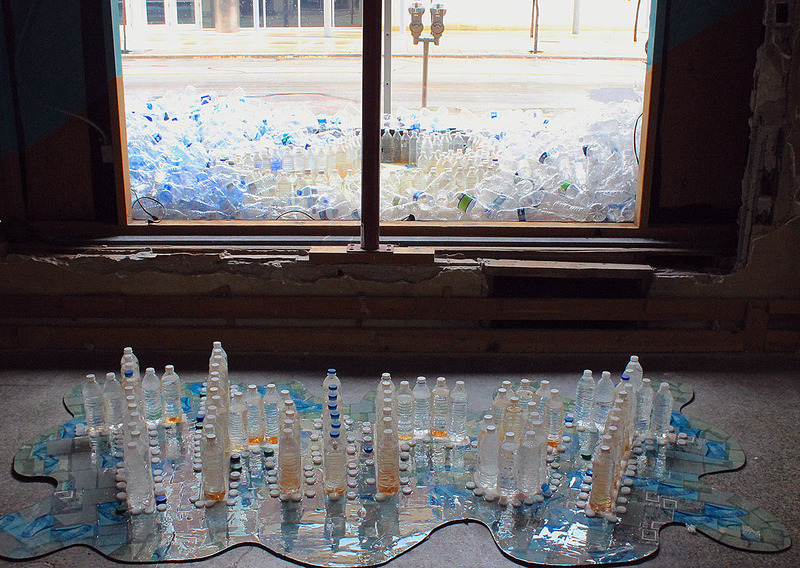 The piece, which jumps the bank of the window bay and spills out onto the main gallery floor, is comprised of dozens of disposable plastic water bottles – the woefully insufficient temporary measure provided en masse to Flint residents in lieu of a potable water system – outlining the form of a fallen child. The bottles on the floor inside, activated by LED lights, spell out “THIRST.” A series of photographs by Darryl Baird (Flint, MI) capture elements of the Flint water system: Eroded Manhole, Underground Sewer Line, Runoff Control Sewer, and others, each vignetted with a dreamy circular-crop more usually applied to glamor photos. The largest piece in the show is a sprawling installation by Mark Bleshenski (Bay City, MI), Plumbum, located in the middle of the showroom floor. 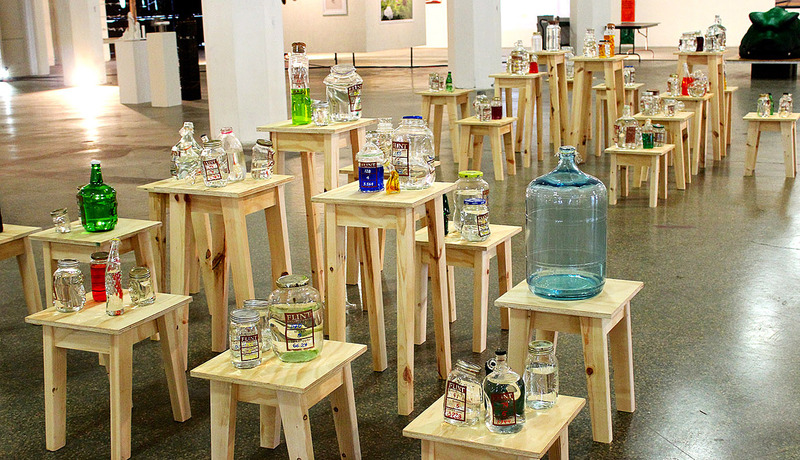 The installation, which draws its name from the Latin word for lead (because lead was used in plumbing in ancient times), collects 100 water samples from Flint faucets into various receptacles, and arranges them into clusters atop two groups of meticulously crafted wooden stools of various heights. The craftsmanship and object repetition is aesthetically engaging – it is a carefully assembled collection, with many forms and colors present – and even playful, as some of the vessels are warped into unexpected shapes and some of the liquids contained within are bright Kool-Aid colors. It is only as one draws near enough to see the data tracked on each vessel that the scene shifts from madcap collection to mad science. Indeed, data visualization is a recurring theme throughout the show, and increasingly a mainstay of activist art. 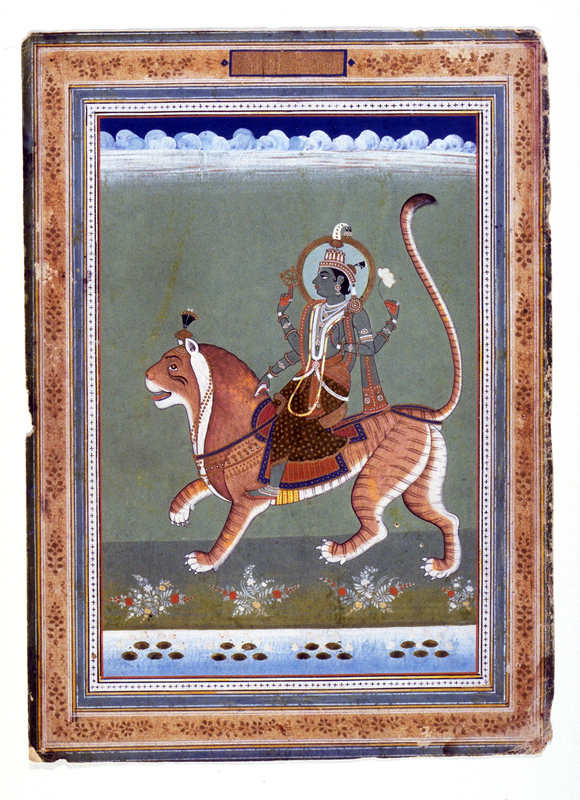 It seems that artists posses a unique power to process information that might otherwise remain comfortably abstract into aesthetic terms that hit closer to home. Some use a kind of visual synecdoche, as did Pritschet (Ann Arbor, MI) with her In Memorium installation, that neatly layers tiers of children’s shoes, painted black, into a morbid little mound strewn with bullet casings. Others take a documental approach, as did Julianne Lindsey (Detroit, MI) and Elton Monroy Duran (Detroit, MI), whose front-window installation, DELRAY Project, represents an ongoing effort to collect materials, photographs, and audio recordings from the Delray neighborhood, which is slated to be the future site of the Gordie Howe International Bridge in Southwest Detroit. 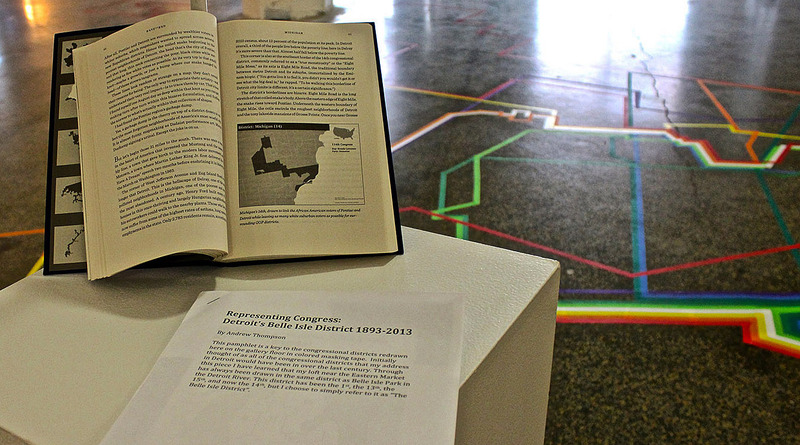 Artists may also be dealing with literal data, as did Andrew Thompson (Detroit, MI) with Representing Congress: Detroit’s Belle Isle 1893-2013, which overlays each successive congressional redistricting of Belle Isle over 120 years in a different color of masking tape. This deceptively simple piece not only underscores the mutability of ostensibly fixed systems upon which our society is built, but additionally nods to the ages-old practice of gerrymandering, which seeks to rearrange or otherwise manipulate a given electoral constituency, so as to favor one party or class. Gallery Project is speaking loudly, and the message is clear – problems abound, direct action is required, and art can no longer satisfy itself with raising awareness. Reformation is coming.